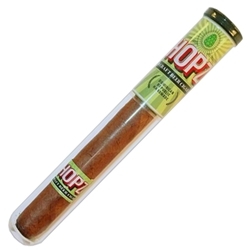 Hopz 538 Cigars, is a mild to medium handmade cigar produced in the Toro size. Each Hopz cigar is infused with US Connecticut binders, and fillers from the Dominican Republic, highlighted with an aged Cameroon wrapper. This unique premium cigar is seasoned throughout with 100% Centennial Hops, delivering an ale style flavored smoke that is smooth and refreshing just like a cold microbrew or crafted beer.